The trauma expert says: Perhaps the most difficult thing to deal with in post traumatic stress is the reaction of freezing at the time of the trauma. She elaborates on the brain’s processes, but I’m not listening. What she’s just said explains much: why it is taking me so long to deal with this illness. Why I recall events through a shroud of fog that I’ve concluded is protective in its purpose, but that leaves me with the sense of not quite getting there, of not quite owning the experience as mine. That abdication of ownership leaves me unable to bring home to me the child and woman, frozen in traumatic time. The fog has been dense enough to entirely conceal them. Daily it thins. I think, it isn’t possible to discard parts of the self as if they never were, and feel anything but uncertainty and fragmentation. The power of the lost and silenced over a life far outweighs what is present and evident. In a meditation I am the constant blue sky: clouds and rain and thunder and lightning pass across me and I witness their progress but I remain the constant blue sky, allowing the ructions, but not part of them. Then I see a drama unfold. A child, a man. Something swoops in, a being filled with quiet purpose. This being lifts the child from the ground where she lies frozen, while other beings, equally purposeful, hold the man back by his arms. The being faces the man, the child in its arms. You will not do this harm, it says. I have never before seen such incontestable authority. There’s no threat, no violence, no struggle. There is only: You will not do this harm. The feeling of not feeling is desolation. It is beyond sorrow, beyond all that we know as human. It’s the barren smoking landscape of a rainforest destroyed by man. 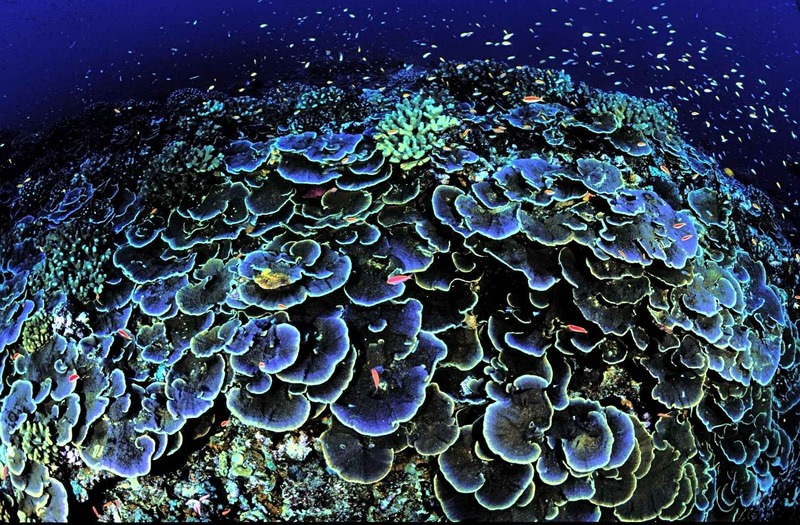 It’s the coral reef leached of all its colour. It’s the bombed, skeletal city, the splayed body of the slaughtered woman, the heartbreaking pose of the drowned child. The feeling of not feeling is that of death while you’re still living. This is what it does, the freezing. There is no fight. There is no flight. There is only a paralysis worse than physical death. Here is the heart of it: the coming back. The indisputable authority: You will not continue to do this harm. It’s beautiful writing. Thank you for sharing these travels and troubles. Please tell me when your book is available. We are still wrangling the title (a last thing for me, titles) and it will be published by Fremantle Press in September next year. It is called The Sound. The story is easy, but titles are difficult for me. This one was a publisher’s pick.